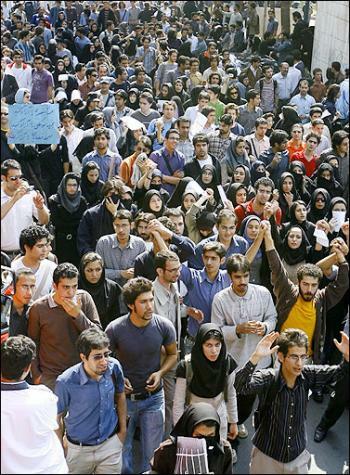 Although the Iranian presidential election between Mir Hossein Moussavi and Mahmoud Ahmadinejad took place on June 12, unrest still rocks the city. Boasting an 85 percent voter turnout, Ahmadinejad was reelected to the surprise of the citizens and experts who predicted Moussavi would easily take the election. The unexpected outcome prompted protestors and outraged citizens to not only claim a rigged election but to also take to the streets in protest. Calling for a reelection, the protestors grew simultaneously bolder and more frantic as the situation erupted into violence. Basij is believed to be responsible for the majority of this violence, including the deaths of seven protestors. Basij is a paramilitary force taking its order from the Revolutionary Guard, an enforcer of stringent Islamic codes. News coverage of the protests, however, is limited and sketchy at best. This is primarily due to the statements of the Revolutionary Guard, who have threatened to prosecute any foreign media outlet reporting on the ongoing crisis. They have also threatened any website reporting on the incident, claiming that the dissemination of this information will further incite riots—an argument utilized by many regimes trying to tightly control and spin the spread of information to their citizens and the world. As is so often the case with David Letterman, it all started with a stupid joke. While on air, Letterman made some comments regarding former vice presidential hopeful Sarah Palin and her daughter attending a New York Yankees baseball game. Palin and her 14-year-old daughter had attended the game, after which Letterman joked that Palin’s daughter was “knocked up” by baseball superstar Alex Rodriguez during the seventh inning stretch. 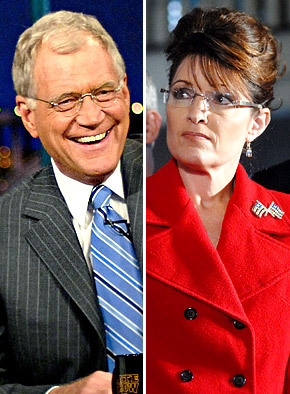 Letterman was obviously referring to Palin’s 18-year-old daughter, who recently gave birth to a son. The site also offers a place to add your name and email address in order to let CBS know that you will not purchase any CBS sponsored product until Letterman gets the ax. While it’s been awhile since Nine Inch Nails was in the public consciousness, front man Trent Reznor has apparently been busy drumming up controversy in the social media arena. Most specifically, Reznor is less than enchanted with Twitter and has made that fact abundantly clear. 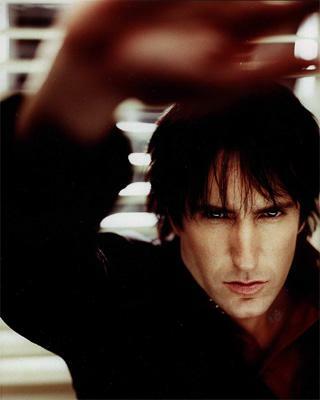 Reznor originally utilized his Twitter account to have a venue where he could be, “more off-the-cuff, honest and ‘human.’” But he was quickly inundated with comments and responses to his updates that he found distasteful. This applied particularly to the disclosure of his love life with fiancée Mariqueen Maandig. While Reznor gushed about his newfound love, fans that followed the NIN icon lashed out. While Reznor used to be known as the out-of-control, counterculture icon, fans found this new, more socially acceptable persona distasteful. While this didn’t prompt Reznor to entirely shut down his Twitter account, he did switch the account to a one-way flow of information. In this way, people can still receive instant NIN-updates, but fans and followers will no longer be privy to the personal messages from Reznor. He has remained adamant that this status won’t change until Twitter changes its blocking policy. While Reznor might have a valid argument that celebrities are unfairly judged, followed, poked, prodded, and put under a microscope, there’s something a bit unsettling about his particular rant against Twitter. After all, Reznor voluntarily offered personal information through a widely public channel like Twitter. You can’t complain, then, when you receive comments from people within that public channel. Although every company has a slightly different strategy and technique, one of the ultimate goals is always to engage and captivate users. Engaged and captivated users, after all, often translate into engaged and captivated consumers. It is with this in mind that so many companies spend time, effort, and money on creating high quality content. But companies shouldn’t be short sighted about the value and power of this content. While many businesses are meticulous about what appears on the corporate website, they are less stringent about the entries into the corporate blog, Facebook page, or Twitter account. This attitude, however, can result in some seriously squandered opportunities. After all, social media venues don’t magically attract, keep, and convert customers. Just like any aspect of your marketing campaign, the content that appears through social media or social networking venues must be carefully researched and created. Otherwise, you’re using the right channels with the wrong message. This doesn’t mean, though, that the content has to be as formal in presentation. When it comes to your blog, a comma splice here or a split infinite there isn’t going to drive your customers away. It’s more about putting in the time and research to know what your audience wants to see in these interactive platforms. Also, unlike the content for your official website, there must be a correlated call to action. It’s against the very principle of social media to simply preach at your audience. Ask customers their opinions via your blog. Inspire some conversation and encourage participation. 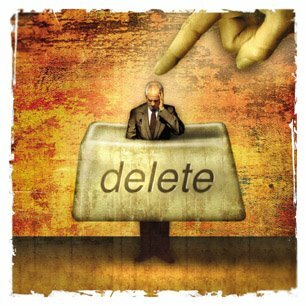 While layoff rumors abound in this economic climate, there is one company that has been hit particularly hard—MySpace. While they are a household name in social networking, MySpace can’t seem to justify being second best to Facebook—the more rapidly growing and popular of the two networking powerhouses. And the severity of the potential layoffs at MySpace makes that very clear. The company, after all, has been the center of many speculations regarding their staff. One source used the word “massive” to describe the as of yet unproven layoffs, while a different source actually went so far as to put a number on that generic (albeit frightening) word. This alternate source placed the layoffs at anywhere between 300 and 500 employees. Many believe these talks and the subsequent actions will help appease the already concerned shareholders. Despite a 2.39% jump in unique visitors during April and a report that puts them ahead of Facebook for videos, MySpace has been steadily losing the battle of social media dominance. And apparently, in today’s climate, that’s simply not good enough to justify a full staff. Demonstrating the increasing need for everyone to be instantly connected, New York has taken a major step to elevating state policy into the age of social media. To that end, New York has not only launched a New York State Office of Technology (OFT), but that entity has also premiered Empire 2.0. The initiative is a concerted effort to increase collaboration and promote government participation through social networking avenues. But this isn’t the first instance of OFT’s social savvy. In May, the agency launched both a Facebook and Twitter page. State Health Commissioner Richard F. Daines is particularly excited about the potential for this new program. Pointing out some of the potential applications of this program, Daines focused on the potential for quick and widespread dissemination of information. Through the venues offered by 2.0, New Yorkers can be made aware of various issues such as smoking cessation laws almost immediately after being made into policy. If someone gave you $70, what would you do? Would you go on a very meager and very short lived shopping spree? Would you purchase a commemorative DVD box set of some kind? Or would you create a full length film that is wowing critics and audiences at Cannes, one of the most prestigious film festivals in the world? That’s exactly what 30 year old director Marc Price decided to do with his pocket change. 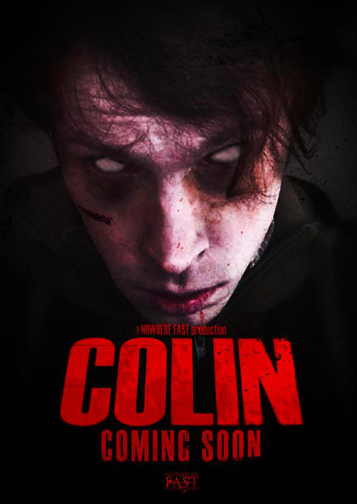 His zombie flick “Colin” cost just $70, and that includes every possible expense—the actors, the editing, the directing, the camera equipment, the make up, and everything else required to make a full length film. Price utilized this knowledge to rally fans of the genre through venues such as Facebook and MySpace. By posting the simple query, “Who wants to be a zombie?” they managed to get fifty people in full zombie regalia ready to be a part of the film for nothing other than the fun of it. But there are lots of filmmakers and other various artists that promote their work on social networking sites and still don’t receive the acclaim and renown enjoyed by Price and his little movie that could. So what was his key to marketing success? Basically, he coupled the power of the social networks with an innovative and high quality product. It’s no surprise that Google has made it its mission to map every part of the world in the most detail possible. Checking out Google Earth and its intensive and detailed satellite imagery will convince anyone of this mission. But Google has expanded its project to provide even more detailed and ground level images with its Street View application. By driving a car with a camera mount through the world’s roads, Street View is a global mission to map the world’s roads. 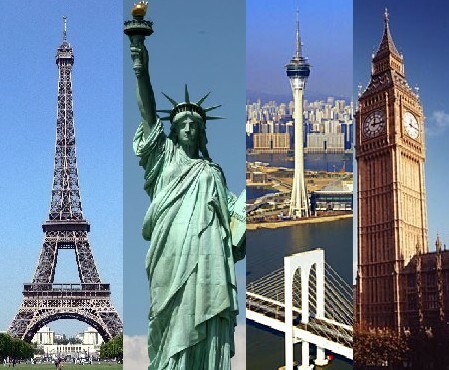 But it has become immediately apparent that this is problematic in certain parts of the world. While the USA has an abundance of wide streets and developed back roads, other parts of the world have notoriously narrow or non-car friendly streets. Just think of the constricted, cobblestone ways of Rome to get an idea of the issue at hand. 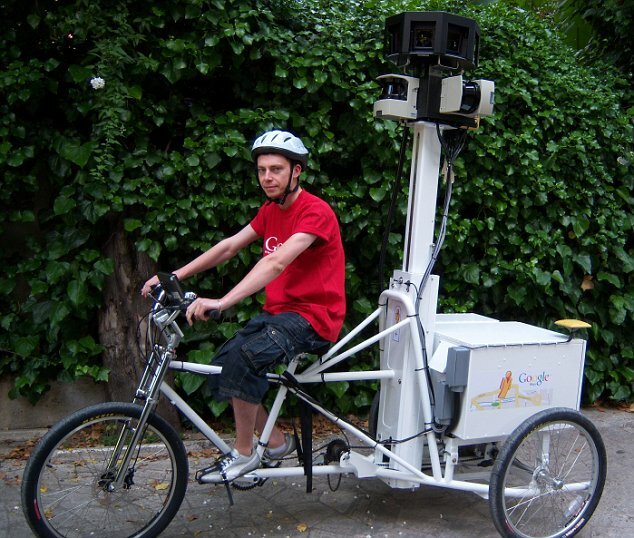 That’s why the Google Trike has made its debut. A bicycle mounted with recording equipment, this can gather the necessary footage even on the roughest terrain or narrowest road. 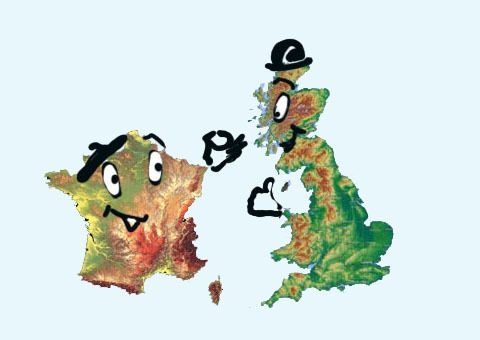 But the trike is also a way to win over reluctant regions such as the United Kingdom. After all, the UK has been notoriously opposed to Street View, especially after several well publicized incidents with the program. For one, the street level cameras caught the image of a naked child, and then a Street View car was actually stopped and harassed into leaving in a small UK village.